If you know anything about Toyota, then you know that this automaker is renowned for its penchant for pushing the boundaries of innovation. With the advent of Toyota’s New Global Architecture (TNGA) platform, though, we have a clear sign proving that they’re not quite finished yet on this front. So just what is this new automotive platform? 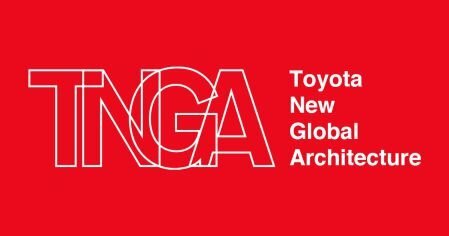 Specifically, TNGA is a concept that allows those who design and build Toyota’s vehicles to share components, parts, and equipment across all different vehicle makes. In turn, this gives Toyota the ability to create beneficial improvements for all of Toyota’s vehicles. Something this big deserves to be explored further, and that’s why we here at Westbury Toyota want to share everything we know with you about TNGA – and how the automotive innovation held within this vehicle development platform could drastically alter your future time spent on the roads of Long Island. The TNGA initiative has already started right here on home soil. As Chris Tsui of The Drive reports, the Toyota manufacturing plant in Georgetown, KY, underwent $1.3 billion worth of upgrades to fully implement the TNGA platform. The 2017 Camry models that rolled off the line at the Georgetown plant were the first produced in America to be built upon the TNGA platform. Of course, these Camrys definitely won’t be the last to lay claim to this accolade; future Toyota models manufactured in Georgetown will also benefit from this platform. In fact, the eventual goal is for every Toyota manufacturing plant around the globe to adopt this technology and become a part of the overall TNGA plan. Simply put, TNGA brings a fundamental change to the way Toyota builds cars. It allows for flexibility in the manufacturing process, and it also places an emphasis on responsive reactions to fluctuations in the automobile marketplace. These changes make production far more streamlined and efficient by utilizing machinery that is more compact. It also allows for the removal of equipment that is no longer relevant, such as overhead conveyors. As Kim Reynolds of Motor Trend points out, these changes have already led to a twenty percent decrease in production costs for Toyota. The 2018 Camry (which we recently profiled and compared against the 2018 Honda Accord) already shows some of these improvements, especially in the mileage department. The 2017 model was capable of 24 miles per gallon (mpg) in the city and 34 mpg on the highway. Those numbers have increased for the 2018 model, and it now gets an impressive 29 mpg for city driving and 41 mpg as you make your way out onto the interstate. If you’re liking those numbers, keep one thing in mind: With more use of the TNGA platform, things will only get better from here. All the changes that TNGA has brought to the manufacturing process (as well as the subsequent improvements made to the actual vehicles) are also beneficial when it comes to environmental impact. With Toyota using machinery and equipment that is more compact and efficient, the manufacturing spaces naturally becomes smaller. Smaller operations consume less power and produce fewer harmful emissions, and improved engines and better fuel economy in the cars created through the TNGA platform leave less of an impact as well during day-to-day driving. TNGA will influence the development of most – if not all – of Toyota’s vehicles in their next generation. This means that by 2020, nearly half of Toyota’s line will flaunt the improvements brought on by the monumental changes in Toyota’s manufacturing processes. This is good news for anyone interested in owning a Toyota in the future. At Westbury Toyota, we pride ourselves on ensuring that our customers get the best the automobile industry has to offer, so we hope that you’re as excited as we are to know that with innovations such as the TNGA platform, Toyota will continue to constantly raise the bar – both for the rest of the industry and in terms of your satisfaction.